I wanted to let you know that the team has just released a system update for the Xbox 360 over Xbox LIVE. 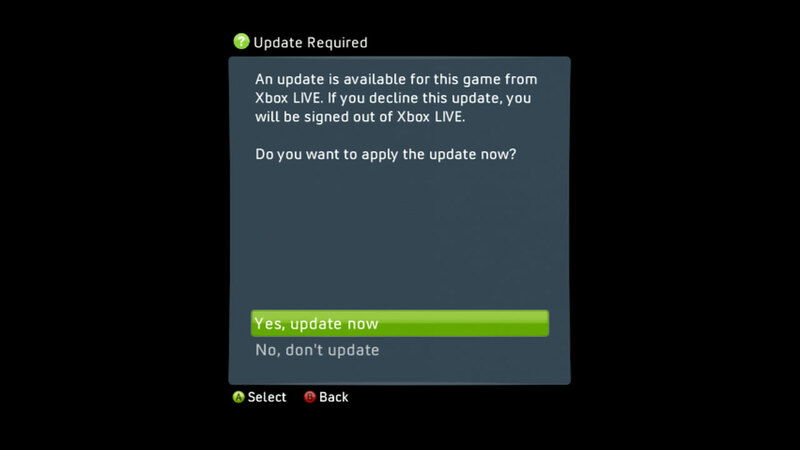 Starting today when you sign in to Xbox LIVE you’ll receive a prompt to accept this mandatory update. If you are signed into LIVE already, you may be signed out and asked to accept the update and you’ll be back online in a few moments. In this update, we are correcting some issues such as displaying the incorrect playlist name when launching a playlist from Xbox SmartGlass to the console, an error with Xbox Video closed-captioning and an error with Xbox Music that some were experiencing. Thanks and we will see you online.